By default, station wagons are dull family transportation devices designed to be practical, useful and not exciting. And the majority of them are just that, boxy-shaped five-door wagons with a big boot and nothing more. The enormous popularity of the SUV vehicles threatens to extinct the station wagon class and people looking for sleek cars mostly avoid them. However, there are some station wagons that break this mold and represent pure sexiness combined with practicality. Produced in three and five-door form, those station wagons are the perfect blend of performance, style, elegance, and usability. Some are performance wagons and some are just downright gorgeous and present the answer to the age-old automotive question: what to do when you want to drive a sports car but your lifestyle demands minivan? If this is your problem, check out the 20 sexiest and coolest station wagons ever made. The Jaguar XJS was the quintessential British GT cruiser which was produced from the mid-`70s all the way to mid-`90s. During its long run, Jaguar delivered thousands of examples all over the world and this car was especially popular in the USA. People seemed to love its low profile and sleek contours and big power coming from 5.3 V12 engine. On the other hand, owners reported that build quality wasn’t that great and that interior was cramped with very limited trunk space. However, for those kinds of customers, a British engineering firm called Lynx had a perfect solution in the form of a special model called Lynx Eventer. 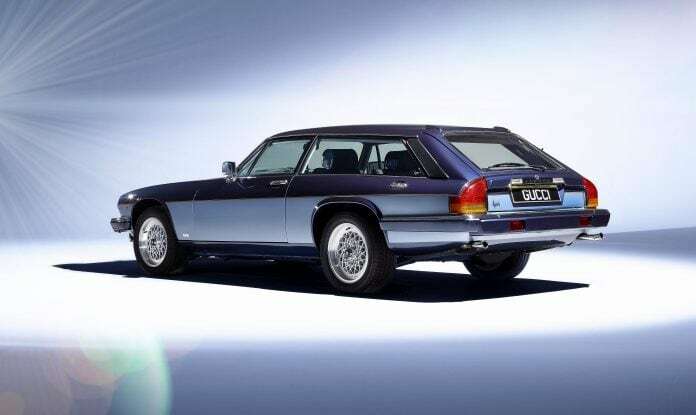 The Eventer was a fully built shooting brake based on XJS which could be serviced and maintained by your Jaguar dealer. We have to say that Lynx did a great job and Eventer looks pretty cool and elegant even with the extended roof and rear glass. If you want one you better be prepared to look long and hard for perfect example since Lynx only built 67 of them.